Recently we as students were able to attend a Sunday service in a Believers Eastern Church congregation. It was a huge privilege for me and an opportunity to meet some of the people that I've been praying for. The service was a very beautiful event. I would even say that it was one of the most beautiful times of worship that I've ever been a part of. The church building itself was not excessively ornate, but the altar and the bishop's vestments were certainly decorative enough. But even that, while it added to the beauty of the service, wasn't the main reason that I would say the service was beautiful. My first reason for saying so was that every person around me that I could see was worshipping God absolutely. The entire congregation loved Jesus and was lost in Him. I don't cry easily, but during that service I cried. Just being in an environment that charged with the Holy Spirit was extremely moving for me. Over my time as a disciple with GFA Discipleship Program I've learned and seen a few things. I've learned about submission, surrender, discipleship, and the important facets of Christianity. 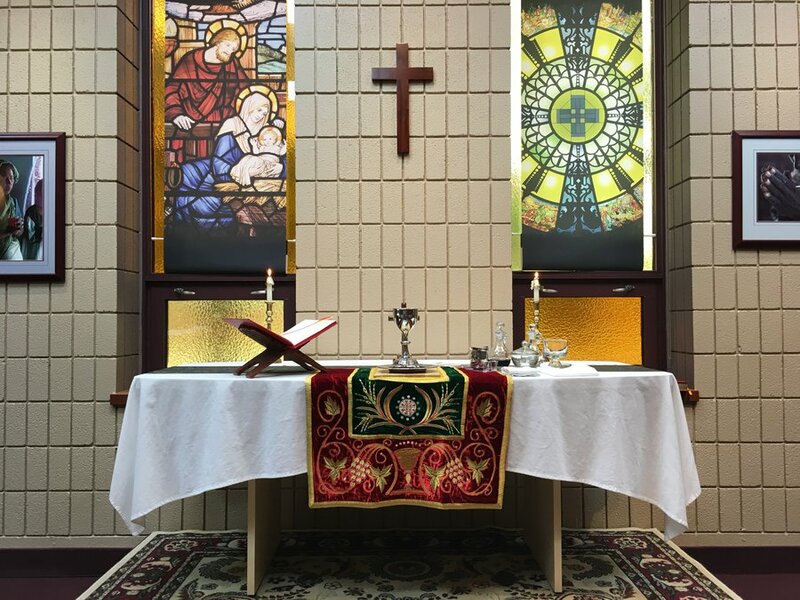 I've learned about the liturgy, lectionary, and even the altar. I've been to visit Anglican churches and even an Eastern Orthodox church. I've been learning the reason why there are elements of design that all churches share. Visiting this church, I felt that everything that I've been studying for nearly two years culminated in one service. The final thing is that I was blessed just to be with this congregation. These are many first-generation Christians, although not all. These are people who have dedicated their lives to Jesus' service. People who have laid down their entire lives at the foot of the Cross. As these thoughts were running around my mind I was humbled to be with them, to worship together with them, and to know that God has done the same for me as He has done for them. Knowing this and seeing their response also has impacted my life and given me a greater drive to surrender and serve Christ.